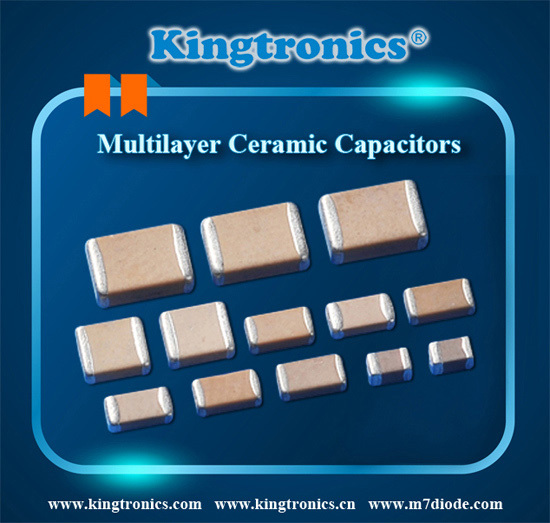 Typical ceramic dielectric materials for MLCCs with several EIA specifications. 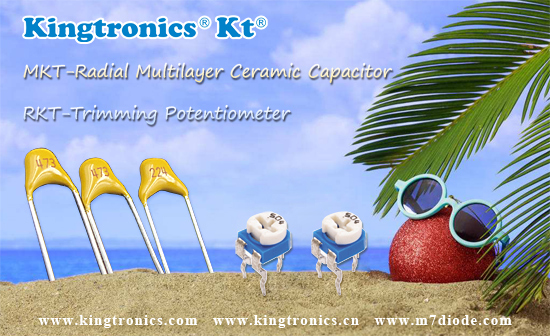 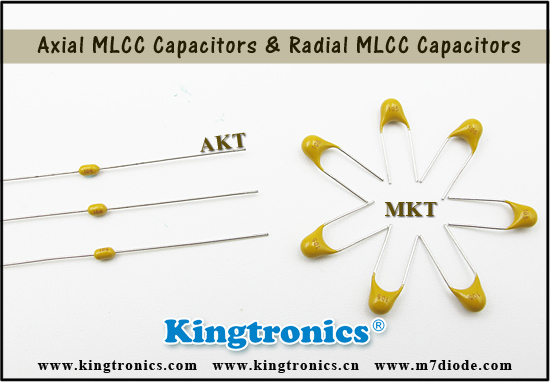 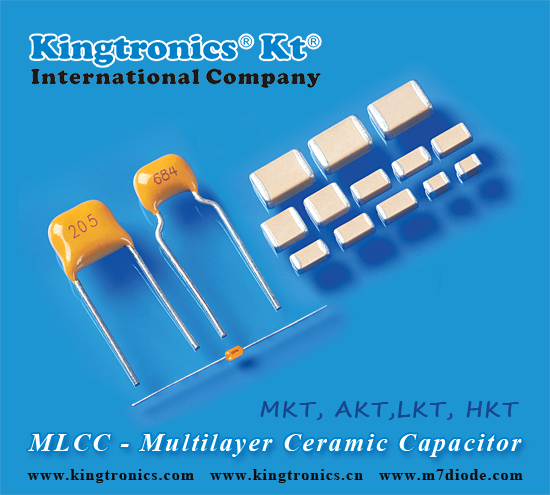 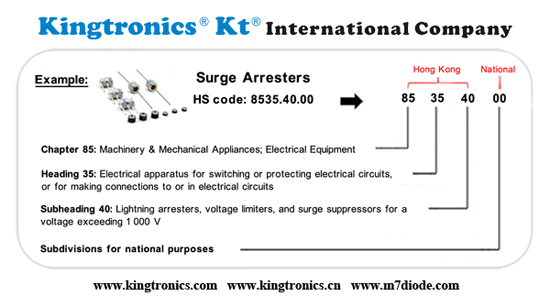 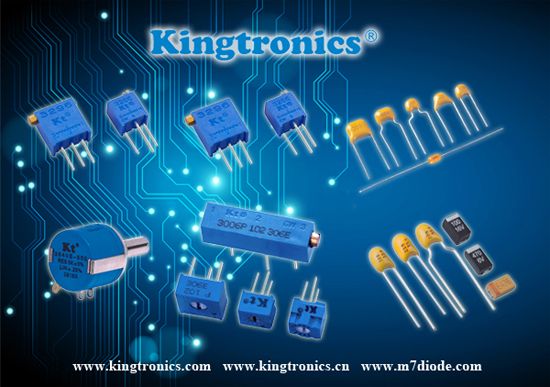 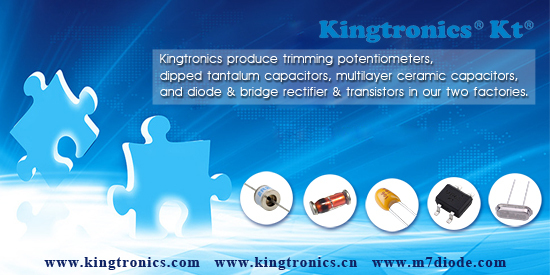 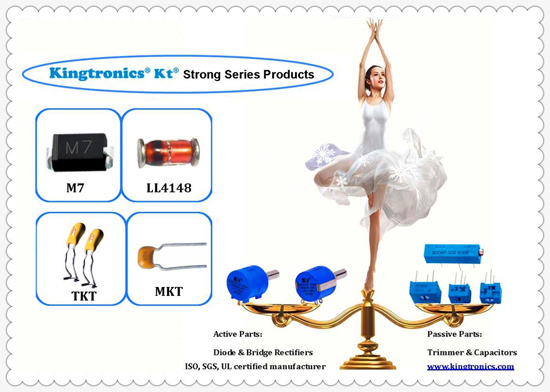 Kingtronics produce multilayer ceramic capacitors (MLCC), include through-hole ceramic capacitors and surface mount ceramic capacitors (chip type). 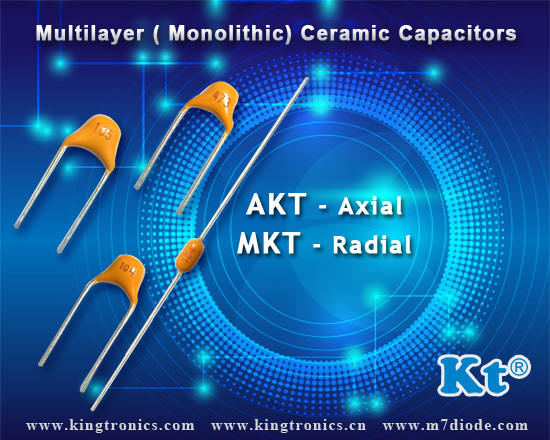 Through hole capacitors (leaded capacitors) include AKT-axail multilayer ceramic capacitors and MKT-radial multilayer ceramic capacitors. 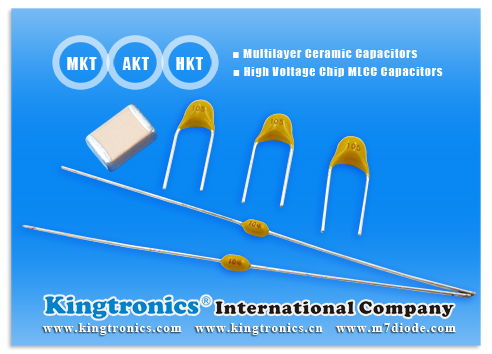 For SMD multilayer ceramic capacitors, we produce two series, LKT- low voltage chip multilayer ceramic capacitors and HKT- high voltage chip multilayer ceramic capacitors.